Do you want your kids to take a break from watching TV and playing computer games over spring or summer break? 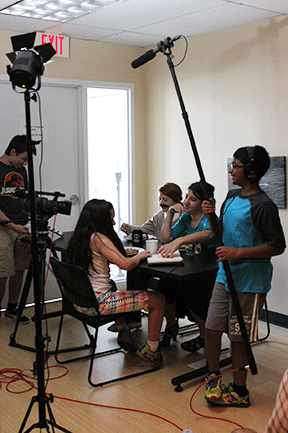 AIM Media Production Camps are a fun and creative activity when school is out. 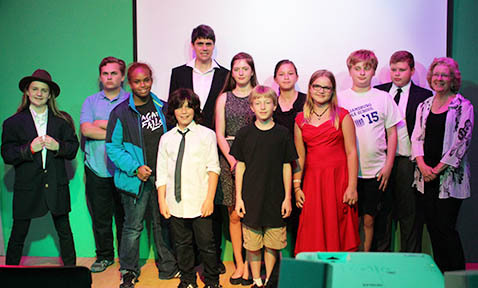 We offer several different camps throughtout the year including a two-week video production camp, a one-week iPad movie and animation camp, and a one-week radio production camp. Sessions run Monday through Friday, 8:30am to 4:30pm. All camps take place at AIM's facility, located at 2701-C Wilson Boulevard in Arlington, VA. Questions? Contact AIM at 703.524.2388 or camp@arlingtonmedia.org.